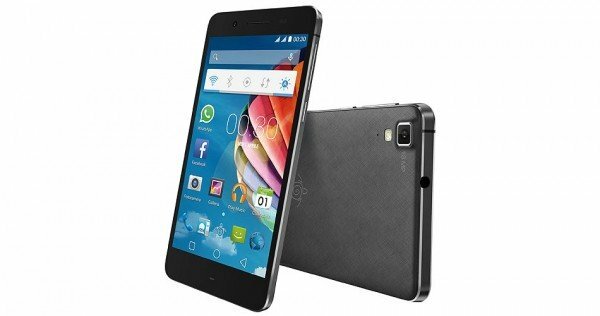 Mediacom Announces New PhonePad X520U Duo, Dual SIM smartphone that features a body made ? ?of magnesium alloy, a material widely used in the industry aeronautics, which made ? ?it possible to keep the weight just 123 grams and thickness in just 6, 9 mm, a real record for a Dual Sim phone with removable battery. With the Battery Saver Manager active, in fact, this new smartphone provides up to 375 hours of standby time and up to 918 minutes talk time. PhonePad Duo X520U is a feature called “Gesture”, which allows you to wake the phone from standby and go directly to the app you want. Dedicated to women, to those who are attentive to their appearance and those who love photographing are also the exciting new features that Mediacom PhonePad Duo X520U provides. In particular, Beauty Room, which optimizes the portraits, and Mirror, which allows you to use your smartphone as a pocket mirror. Finally, those who wish to have an eye on their physical condition, measure the amount of calories burned, number of steps taken during the day or your heart rate, will especially Health, a useful application for monitoring and remember to do as useful for their own welfare. The new Mediacom PhonePad X520U Duo will be available from the middle of the month of May 2015 with a retail price of €199 including VAT.